Currently an MFA Writing candidate at California State University, Long Beach, Jonathan Yungkans is a Los Angeles-native poet, writer and photographer with an intense love for the sea and local history. His works have appeared in Lime Hawk, Twisted Vine Literary Journal, West Texas Literary Review and other publications. His poetry chapbook, Colors the Thorns Draw, was published by Desert Willow Press in August 2018. Photographer’s Note: The dishes against the brick wall. I understand that. 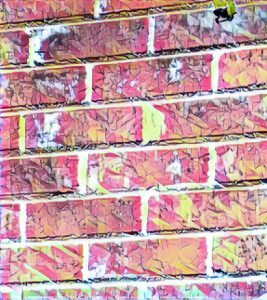 Here is my brick wall photo.